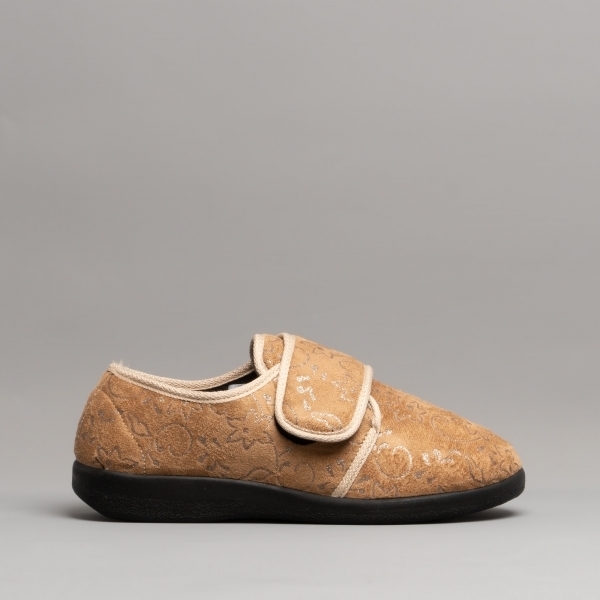 The ladies Poole slippers from the Great British Slippers Medical range provide comfort, style and practicality. Featuring a floral designed upper, they are beautifully unique and intricate so you can relax in world of comfort whilst still looking great. The touch velcro fastening strap allows for these slippers to be slid on and off at ease and the wide fit makes them roomy and spacious, perfect of you have swelling feet or want that extra bit of room. Keep your feet healthy and clean in these slippers as the antibacterial treatment keeps odours and bacteria away whilst they can be machine washed so they can stay fresher for longer.